A permanent public market is coming to Madison that will allow residents to share the city’s rich and diverse culture. The Madison Public Market is presenting a pop-up market this Wednesday, Oct. 11 from 5-8 p.m. titled “Taste of the Madison Public Market” before its permanent opening in 2019. Located at 945 East Washington Street, the market will be incredibly accessible for tourists and residents. The space will be a place for people to eat, listen to music, purchase art and learn about the community’s culture. The event this Wednesday aims to give Madisonians an opportunity to sample what the market will be like in 2019. 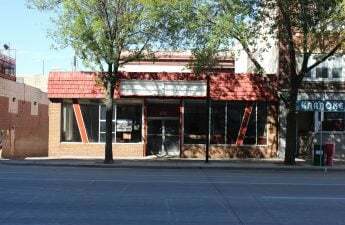 Creators of the public market, a concept first discussed in the 1990s, are enthusiastic to show the Madison community that it is finally becoming a reality. “It has always been just a concept, and now it has legs and it is quickly moving forward,” said Amanda White, private consultant for the project. White is excited to help the market prepare for a capital campaign and engage with the community. 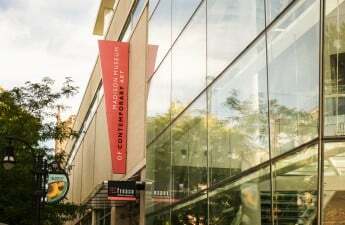 The market itself is being developed by the City of Madison and the Public Market Foundation. The City of Madison Public Market Development Committee consists of community residents and works as the development team for the public market. The Public Market Foundation will also operate the Market when it opens. The management will entail hiring vendors, operating the market and educating vendors on how to expand their businesses. 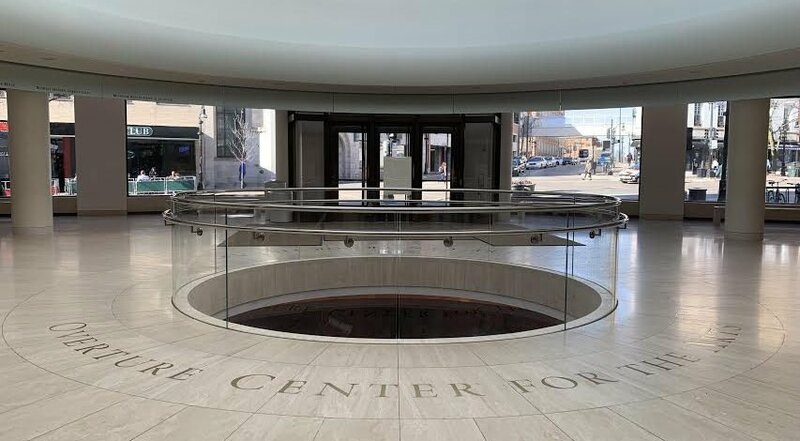 “It is going to be very much community driven… it will be an evolving type of ecosystem where people can get to know the different cultures within Madison that are currently missing,” Mayra Medrano, president of the Public Market Foundation, said. Medrano comes from the Latino Chamber of Commerce of Dane County and views the market as a wonderful opportunity for Madisonians of all backgrounds to gain knowledge about different cultures and for vendors to grow their businesses. The market hopes to build off the farmers market scene already thriving in Madison. The event this Wednesday is evidence that this relationship is in the works. It will be the first time people can get a real example of what the market will be like, Medrano said. The attendance is expected to reach 300 people at the preliminary event. There will be a large amount of food, so White encourages people to come hungry. Seventeen vendors are set to attend, all of whom will be offering free samples and bigger portions for sale. In addition, families will be able to enjoy children’s activities hosted by Books for Niños. This group will be reading bilingual children books to foster cultural learning for children as well as adults. Patrons will also be able to engage with the music scene, that is an integral part of the market. Dane Dances will provide a range of multicultural music throughout the day, spanning from Folk to Latin. At 7 p.m. there will be a mini Dane Dances party that aims to emphasize that the Public Market is really about — the community. There will also be a demonstration from the food innovation center which will show people how offering this food kitchen and production space will bring more local food to neighborhoods. Visitors will be able to stop at different stations to experience the socialization that the market hopes to facilitate. “Every time you come to the market, there will be your favorite vendors, but always something new to see because there is going to be 3,000 square feet of temporary event space,” White said. When the market permanently opens in 2019, there will be new events happening every time members of the community visit. These events will range from winter farmers markets to concerts to food fairs. “People are encouraged to donate, visit us on Wednesday to meet the vendors and stay tuned for more exciting updates,” Medrano said. 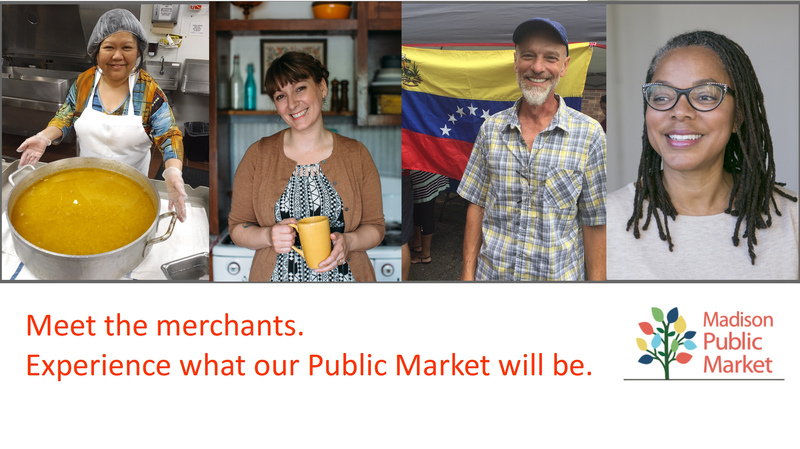 Visitors are encouraged to go to madisonpublicmarket.org or follow the Public Market on Facebook to find out more about the event on Oct. 11th, and stay updated on the project.